The Indian climate is predominantly hot and when it's not being that, it's usually raining in most parts of the country. Dust and pollution are major issues plaguing cities like Delhi and all this means that convertibles don’t exactly seem the most sensible form of transport. Don’t get me wrong, for I am a big fan of the idea of open-top motoring. Just not in India, though. However, time spent behind the wheel of an Audi A5 Cabriolet has forced me to reconsider my stance on convertibles in India. Allow me to explain. For starters, it looks gorgeous. 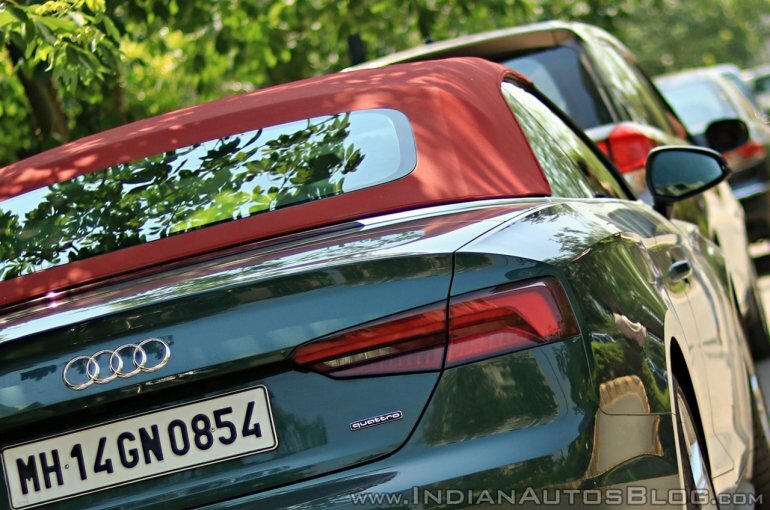 Of all forms of the A5 in India – A5 Sportback, S5 Sportback, and A5 Cabriolet – its the drop-top version that that takes the title of being the prettiest. More so finished in Gotland Green with a Red fabric top combo we have here. The car rarely fails to grab eyeballs despite Audi’s typically understated design language. The low slung nose and sleek headlamps accentuating the width of the car give just the right amount of aggression. I quite like the layered look of the boot and the LED tail lamp detailing as well. Details like the twin tailpipes, secondary stop lamp integrated into the chrome lining and the contrasting silver frame of the windshield add to the appeal. There are as many as 15 exterior colour options to choose from and 4 fabric roof shades. However, the alloy wheel design seen in images here is the sole option offered. At 4,673 mm long with a wheelbase measuring 2,765 mm, there is enough space for four passengers. Sure, the ones sitting in the rear won’t enjoy generous legroom, but average Indian men/women won’t be uncomfortable either. They even get dedicated aircon controls. The only real issue is ingress and egress, which does take a fair amount of work. Still, the front remains the place to be with super comfy electrically adjustable seats and individual aircon settings. Equipment on offer includes Audi’s fancy Virtual cockpit, which is fully digital and customizable display, 8.3-inch display with MMI Navigation Plus, Apple CarPlay and Android Auto Connectivity and a Bang & Olufsen audio setup to name a few. Customization options include 5 upholstery combinations, two steering wheel choices, and an ambient lighting package. 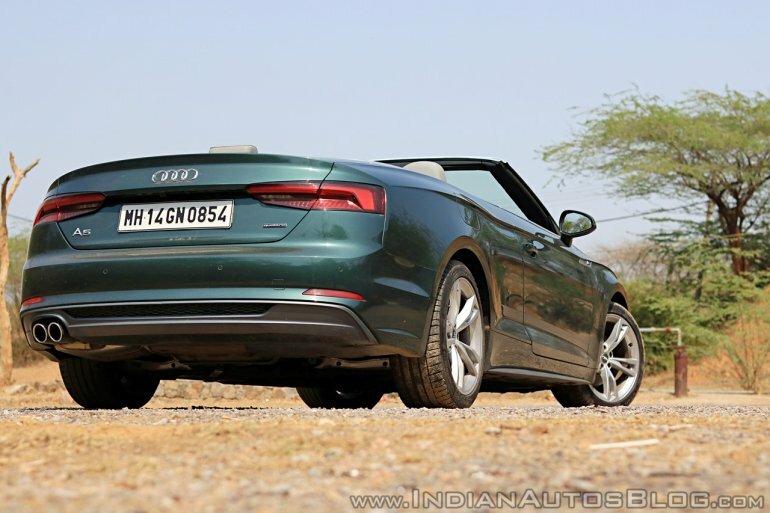 The A5 Cabriolet is available with just one engine option – a 2.0 L TDI diesel producing 190 hp at 3800- 4200 rpm and 400 Nm at 1750- 3000 rpm. That’s ample power to haul the 1,875 kg convertible from 0 to 100 km/h in 7.8 seconds helped along by the 7-speed dual clutch transmission and Quattro AWD setup. Audi’s decision to go with a 2.0 L TDI diesel engine instead of a petrol unit for a car that essentially falls under the sporty category does seem a bit strange. But it works. There’s sufficient torque on offer for quick bouts of acceleration and the frugal nature of a diesel engine ensures the car returns double-digit digit fuel economy figures. While the latter might not matter much to someone shelling out north of 80 lakhs on a car, it does add to its practical nature. 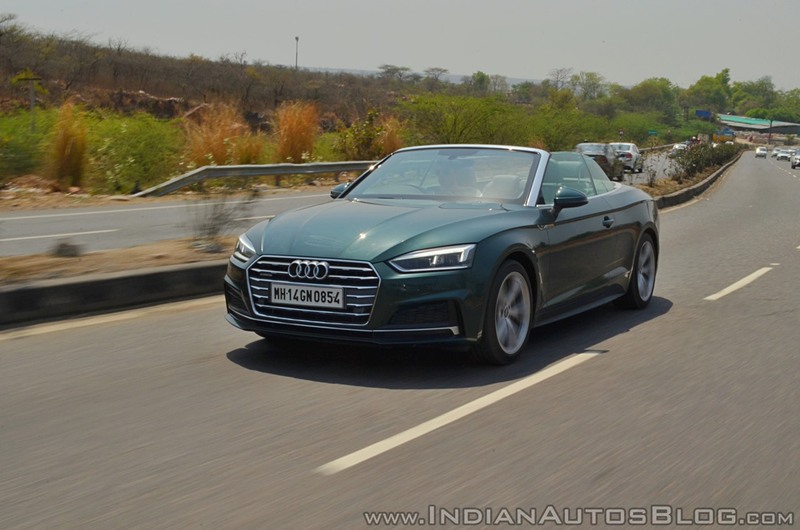 By now you must’ve guessed that the A5 Cabriolet isn’t intended to be driven very hard - there’s the S5 or the RS5 for that – and that fact is reflected in the way the suspension has been set up. It strikes a fine balance between comfort and sharpness. Bumps are dealt with rather well while pottering about town without the setup making the car feel overly soft through corners or over undulations at high speeds. The steering offers the right amount of heft making sure that driving the Audi A5 Cabriolet is always a pleasant experience. 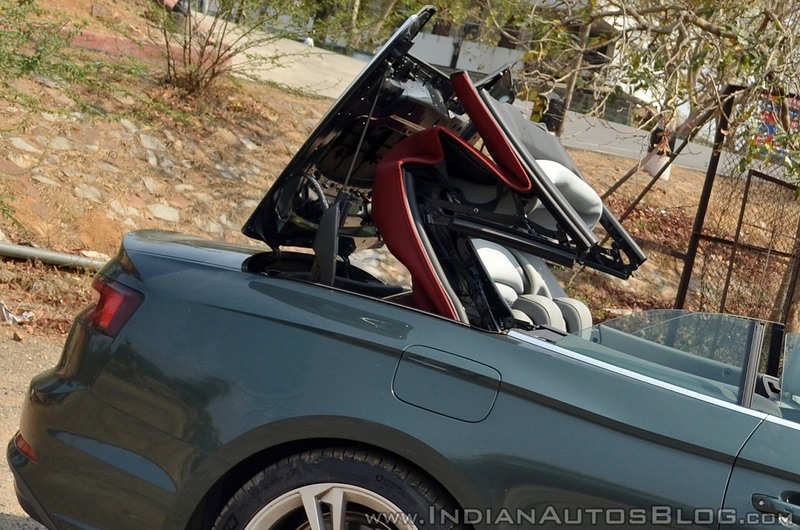 No points for guessing that the A5 Cabriolet’s pièce de résistance is the foldable fabric top that tucks away neatly with the push of a button. It takes 15 seconds to ‘drop the top’ and 18 seconds to close it and the task can be carried out at speeds of up to 50 km/h. With the top-up, it keeps you isolated from the dust, heat, rain, pollution what have you. But when the conditions are favourable, it allows you to experience the joy of open-top motoring. An early morning drive, a late night ice cream run, or a drive to enjoy the post-rain chill, a convertible is THE car to for such occasions and the A5 Cabriolet fits the bill rather well. So, am I pro-convertibles now? Well, not quite. I’ve already mentioned the biggest issue with them in the opening lines of this write-up. Although it has nothing to do with the car, as such. In particular, the A5 Cabriolet isn’t very exciting to drive, the interior, though very well finished with high-quality materials, is a bit dull and getting in and out of the rear seat is still a chore. 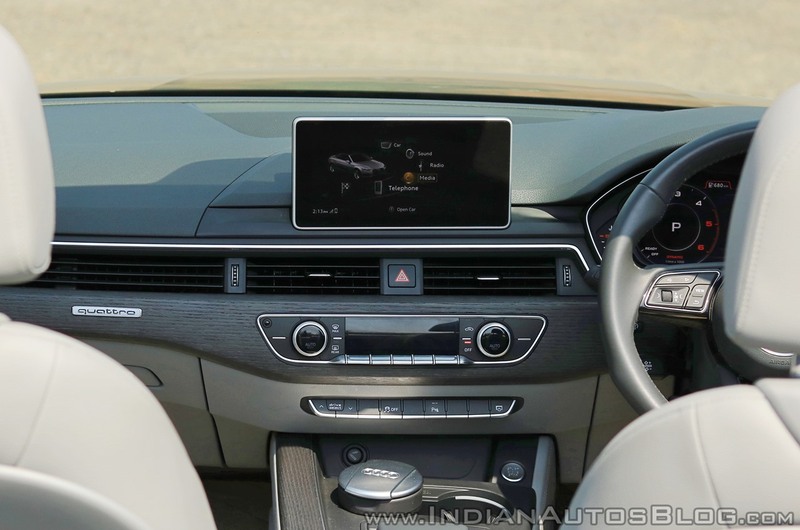 Also, for less than the asking price of an A5 Cabriolet (INR 69,24,000), you can opt for faster, more spacious four-door sedans with a much longer list of equipment. But I do see the point of convertibles. They offer all the qualities of a regular coupe along with the option of letting the top down when the conditions permit. 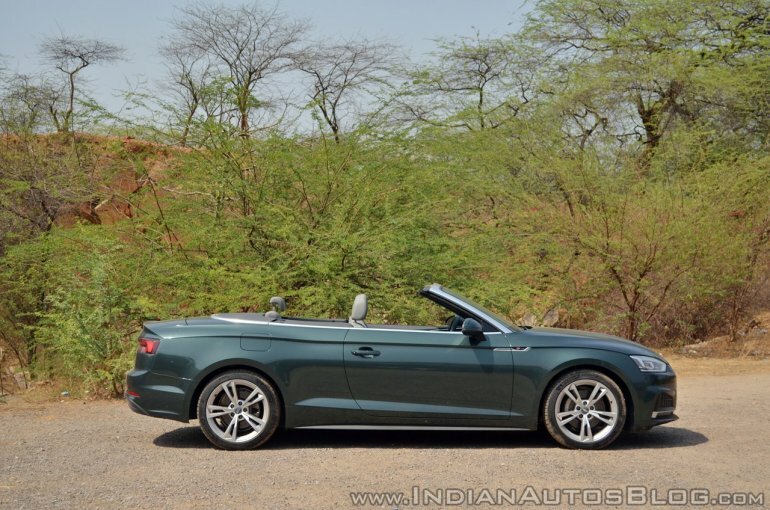 Convertibles like the Audi A5 Cabriolet are undeniably cool ensuring your ride makes a statement wherever you take it. 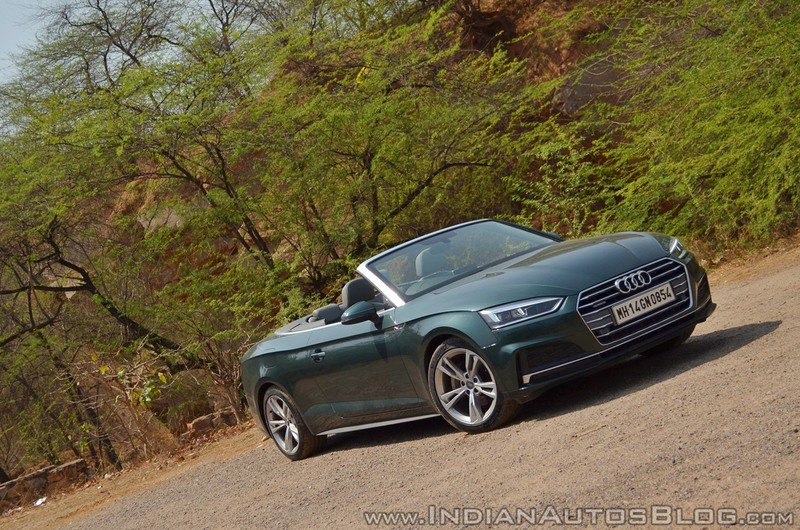 Plus, the A5 Cabriolet, with decent space for 4 and some light luggage, a potent yet frugal diesel engine and a comfortable ride, should work rather well as a daily driver even. Audi India's A5 range also includes the A5 Sportback (INR 55,40,000), S5 Sportback (INR 72,41,000), and the RS 5 Coupe (INR 1,10,65,000). Its convertible range in India includes the A3 Cabriolet 35 TFSI as well priced at INR 50,35,500. (All prices mentioned are ex-showroom).